The free market is relentless in cutting costs. Next up: cargo ships without crews. Think of what this will do to Somali pirates. They can’t steer the ships. They can’t kidnap anyone. Their little boats cannot carry huge containers. Think of the unemployment this will create in Somalia. Here is a Third World nation, desperately poor, and this technology now threatens one of the few areas of high-profit entrepreneurship. Does this technology sound like a good idea to you? It does to me. Crew costs will fall to zero. Kidnapping ransoms will be a thing of the past. There will be fewer accidents. 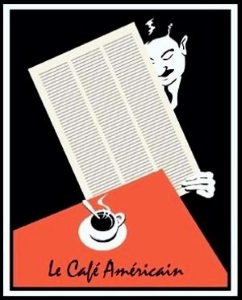 This post was published at Tea Party Economist on September 12, 2014. Euro gold fell to about 950, platinum lost $3 to $1365, and coper climbed a penny to about $3.10. Gold and silver equities fell over 1% at the open before they rallied back higher at times, but they still ended with over 1% losses on the day. 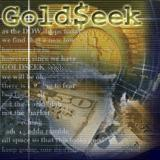 This post was published at GoldSeek on 12 September 2014. Danger warning : Mario Draghi to restart ECB’s money printing press! Mario Draghi spoke, last Thursday, and everyone must have thought his announcements were important… because right after his speech, stock markets went up and the euro fell against the dollar! What caused this abrupt temperature rise in the markets? Let’s recall the announcement: The base rate goes down from 0.15% to 0.05% (who can believe this will change anything?) and the deposit rate for banks depositing with the ECB goes down from -0.1% to -0.2% (the intent of which is to discourage banks from depositing and encourage them to make loans to businesses)… Again, no one thinks that this could jumpstart credit. Then comes the important announcement: the ECB will buy new assets, starting this October, and will do so in large volumes. The European central bank will be acquiring asset-backed securities, or ABSs (business credit, commercial notes, real estate loans etc.). This is called securitization: the bank puts together small business loans in a ‘package’ that becomes, thusly, a new autonomous financial product generating money flows (loan payments from businesses) that it sells back to the ECB in order to recuperate some liquidity. As a funny aside, the U. S. equivalent, in real estate, was the ‘subprimes’… The ECB will also be buying bonds issued by banks (a bank may finance itself by issuing bonds, like a corporation or a sovereign country). This post was published at Gold Broker on Sep 11, 2014. This post was published at Zero Hedge on 09/12/2014. sept 12/Huge increase in silver inventory gains at the SLV/no change in gold inventory/gold and silver hit/huge silver open interest at the comex. As far as gold and silver is concerned, we had another raid today right after both London first and second fixing of gold. It seems they are relentless in their attacks. The big news today is the massive open interest rise in silver on the comex. And this was done with the price of silver falling by over 50 cents yesterday. It could only mean one thing: that the massive longs on the comex is sovereign China holding these open interests through proxies. As I have explained to you in the past, it is my belief that China entered a deal with the west by loaning their hoard of between 300 – 600 million oz. Generally this would have been done by a lease arrangement for 10 years. The USA ran out of silver in 2003 so, as Bill Holter states…fill in the dots. China wants its silver back and is also very happy to receive copious amounts of gold at low prices. This is the reason why the CFTC remains mum on the silver/gold probe. Today we have commentaries concerning the sanctions placed on Russia by the USA and the Russian response. We also have stories on the huge amount of debt built up by some members of the PIIGS. Also in Venezuela the only newspaper folds due to lack of paper plus other parts. This post was published at Harvey Organ on September 12, 2014. It’s hard these days to worry about inflation amidst a maelstrom of voices claiming that there isn’t enough inflation to begin with, and that the world will end if prices stop rising even for a moment. Whatever inflation we may encounter in daily life, whether for healthcare, tuition, beef, gas, or cars, we’re told not to worry about it because the higher prices are either annulled by an elegant scheme called hedonic regression, or they’re only temporary, or the amounts are too small to impact the overall budget. But when it comes to housing, which now accounts for 33.6% of what Americans spend [What’s Draining American Wallets? Interactive Chart], none of these excuses fly. Because inflation in housing has been red-hot. Actually, it hasn’t been red-hot, the way the Bureau of Labor Statistics measures it. Its Consumer Price Index contains two housing components: ‘Owners’ equivalent rent of primary residence’ (OER) and ‘Rent of primary residence’ (Rent). They purport to measure the cost of ‘shelter,’ which is the ‘consumption item’ that a home provides and is thus included in the CPI. The cost of the home itself and any improvements to the home are considered an ‘investment,’ not consumption, and therefore not part of the CPI. Owners’ equivalent rent accounts for 23.83% of the CPI and rent for 5.93%, for a combined weight in the CPI of about 30%. It is by far the largest and most important component. Inflation in these two categories was contained, as they say at the Fed. In July, owners’ equivalent rent rose 2.7% and rent rose a minuscule 1.0%. This post was published at Wolf Street on September 12, 2014. When I entered the Fed-watching business over three decades ago, a clichd phrase of advice from graybeards was: ‘Watch what they do, not what they say.’ Thinking back, there was not actually much Fed rhetoric to either watch or hear. Paul Volcker was new in the job of Fed Chairman, Ronald Reagan had just been elected President, and Ted Turner had not yet launched CNN Headline News. All three men are now recognized as giants of transformative change in America’s life, altering not just how we conduct our affairs, but also how we think about ourselves. It really was a good time to be a newly minted graduate in short pants on Wall Street. The fiscal authority was pursuing something called supply side economics and the monetary authority was putatively pursuing monetarism. Keynes was in rehab for inflationary intoxication, and Friedman was the straw stirring the free-to-choose drink. The visible fist of government was cursed and the invisible hand of markets celebrated. Ah, yes, a most interesting time to start a career on Wall Street: a time of existential ferment in our nation’s economic policy, best characterized by tight monetary policy, loose fiscal policy and blind belief in the ability and willingness of capitalists to regulate and discipline their own affairs. At such a juncture in history, the advice of the graybeards to me to watch what ‘they’ do rather than what they say was sage counsel. This was particularly the case in watching the Volcker-led Fed, which pegged short-term interest rates, but said it didn’t, maintaining that it simply controlled growth in the money stock via changes in ‘the degree of pressure on bank reserve positions.’ Volcker also thundered that the Fed had virtually no influence over long-term interest rates, which were putatively sky high because of outsized budget deficits and inflationary expectations. The fever for independence is strong in Scotland. In Belfast, they have posted on a hill’YES SCOTLAND’ for you can bet if there is a ‘YES’ vote, you will see Ireland next. In Glasgow, a pub has renamed itself to the YES Pub. This post was published at Armstrong Economics on September 12, 2014. Thanks to the Fed’s 6 years of ZIRP, activism, i.e., loud, brash billionaires who come in and tell a company’s management they need to use cheap debt to repurchase stock, engage in reckless M&A or spin off profitable units or they will become even louder and brasher has become one of the only profitable hedge fund strategies. Of course, this will cease the moments rates show even the smallest hint of rising but until then it is paradise for all activist hedge funds. In fact, the scramble for activist strategies is so big that WSJ reported earlier today that “funds under management by these activists and others grew by $9.4 billion in the first half of the year to $111 billion, gaining more in that period than in the previous two years combined, according to industry researcher HFR. Mr. Loeb and some other activists have described the current environment as the best they have seen for raising cash.” Thanks Fed. But how do you know when hedge fund activism has gone too far? Well, a good example is the 300-slide presentation (because more slides is always better than less when pitching quantity over quality) which Starboard Fund filed yesterday as “advice” to the management of Darden Restaurants, owner of Oliver Garden, on how to boost shareholder value and also steps the hedge fund would take to generate returns if it wins control of the entire board. Because while in addition to comping up with fleeting and imaginary valuations based on EBITDA projections and multiples, this is the first time that a hedge fund actually tells a restaurant company how to, drumroll, cook. Stocks were on another down leg today, taking back the late afternoon stick save from yesterday, and a little bit more. The selling was very orderly and the VIX barely bleeped. The spokesmodels were claiming this is a ‘good news is bad news’ thing, since retail sales grew more than expected in this morning’s economic news. Well, not at all, if you look at them ex-auto. The market was in profit taking mode today, and most likely based on international jitters ahead of a weekend. Greed was struggling with just a twinge of fear. I speak to those jitters in tonight’s gold and silver commentary above. This post was published at Jesses Crossroads Cafe on 12 SEPTEMBER 2014. That quote got me thinking about the dearth of bearish views that are currently prevalent in the market. The chart below shows the monthly level of bearish outlooks according to the Investors Intelligence survey. The extraordinarily low level of “bearish” outlooks combined with extreme levels of complacency within the financial markets has historically been a “poor cocktail” for future investment success. This post was published at StreetTalkLive on 12 September 2014. Retail sales came in a bit hot today, triggering a ‘good news is bad news’ selloff in stocks, at least according to the spokesmodels on bubblevision. The retail sales results were really not all that impressive, just coming in-line for sales ex-auto. And who the heck knows what adjustments were used to cook up the hot auto sales number? These one shot numbers are a flash in the pan. I think the sell off today, ahead of the weekend, is due to the cumulative jitters of the markets, given the drumbeats to war in Iraq, Syria, Ukraine, and the potential ‘Yes’ vote in Scotland for independence. The entire US Treasury complex surged higher in yield this week, rising 12-16bps (2Y 5bps) as the last 2 weeks are the worst for 10Y since last June’s Taper Tantrum. Despite all the ‘bonds-go-down-so-stocks-will-see-inflows’ rotation buffoonery, stocks slipped to their worst week in the last six, as hawkish Fed concerns spread through markets. High-yield credit notably underperformed and VIX pushed back above 14 (its highest in a month). The USDollar rose 0.5% – 9th week in a row (despite EUR unch on the week) led by a 3% collapse in AUD and 2% in JPY & CAD. Gold and Silver dropped 3% on the week (worst in over 3 months, lowest in 8 months to $1230). WTI prices whipped around but ended -1% at $92. Of course, because it’s Friday, the last hour saw manic VIX-selling, S&P futures buying (in 1 lots) to lift it magically off the lows to VWAP, but the S&P ended being the worst of the major US equity indices on the week (S&P <2,000; Dow <17,000). The high-yield credit market remains stressed. An active week ended poorly as a heavy pipeline saw Vistaprint pull its deal citing “market conditions” as perhaps both a re-awakening of liquidity fears (Fed hawkishness concerns), price/spread moves, potential downgrades soar, and outflows signal the flashing red light that HY markets are shining is as red as ever. With buybacks having dwindled already – removing a significant leg from the equity rally – it seems CFOs are realizing that maybe they should have used some of that easy money to build as opposed to buy as they face weak growth, a lack of liquidity, and a wall of maturing debt in the next few years that will have to be refinanced at higher yields and spreads. Recent comments from FOMC participants on the forward guidance and the appropriate timing of the first hike of the fed funds rate suggest, Goldman warns, a greater clustering of FOMC participants’ views around a mid-2015 ‘liftoff’ in rates. Similarly, private sector forecasts for the first hike are becoming more centered on mid-2015 rather than August to September. In today’s note, we review recent comments from FOMC participants on the forward guidance and the appropriate timing of the first hike of the funds rate in advance of next week’s September meeting. With respect to the forward guidance, both Cleveland Fed President Loretta Mester and Boston Fed President Eric Rosengren expressed discomfort with the FOMC’s current calendar guidance last week. President Mester expressed concern with the FOMC statement’s guidance “that it likely will be appropriate to maintain the current target range for the federal funds rate for a considerable time after the asset purchase program ends,” which Philadelphia Fed President Charles Plosser dissented against at the July meeting. She argued that the forward guidance should instead be calibrated to distance from the Fed’s goals and the speed at which progress is being achieved. President Rosengren likewise argued that as the economy approaches full employment, the Fed should stop providing calendar guidance. This post was published at Investment Research Dynamics on September 12, 2014.